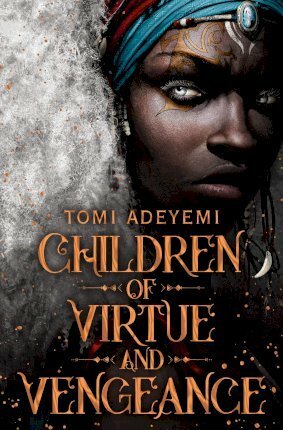 Children of Virtue and Vengeance is the breathtaking second title in Tomi Adeyemi's YA fantasy trilogy, Legacy of Orisha, following her ground-breaking, West African-inspired debut Children of Blood and Bone. After battling the impossible, Zelie and Amari have finally succeeded in bringing magic back to the land of Orisha. But the ritual was more powerful than they imagined, reigniting the powers of not only the maji but also some nobles with magic ancestry. Now, Zelie struggles to unite the maji in an Orisha where the enemy is just as strong and magical as they are. When Amari's mother forms an army of royals with newly awakened powers, Zelie fights to secure Amari's right to the throne and protect the new maji from the monarchy's wrath. But with civil war looming on the horizon, Zelie finds herself at a breaking point: she must find a way to bring the kingdom together or watch as Orisha tears itself apart.